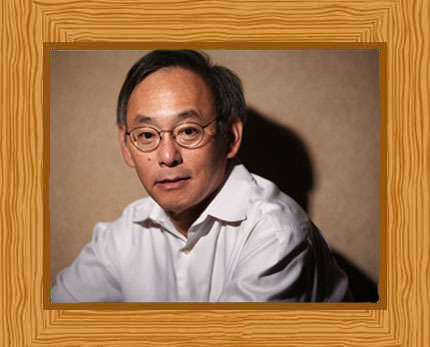 A 1997 co-winner of the Nobel Prize in Physics, Steven Chu is an American physicist who was the 12th Secretary of Energy in the United States. He is known for his work on cooling and trapping atoms using laser light, allowing for a more accurate study of the individual chilled atoms. This research won him the Nobel Prize, which he shared with Claude Cohen-Tannoudji and William D. Phillips, who both later expanded his research. Chu is one of the leading advocates of nuclear power and renewable energy use, believing that shifting the source of power from fossil fuels can help in battling the adverse effects of climate change. Steven Chu comes from a family of scholars and it is no shock to have such a brilliant mind considering his family’s background. Before he was born on February 28, 1948 in St. Louis Missouri, Ju Chin Chu, his father, had moved to the United States in order to further his education in chemical engineering and attended the Massachusetts Institute of Technology. After two years, Ching Chen Li, Steven Chu’s mother, joined his father to study economics. His father held teaching positions at Washington University and Brooklyn Polytechnic Institute. There is no denying how important good education was for Steven Chu’s family, and most of his elders obtained Ph.D.’s in either engineering or science. To Steven, he felt as if schoolwork was a chore rather than intellectual adventures, but it was geometry which made him appreciate mathematics. Strange as it may sound to some, his life did not revolve around academic endeavors. He also had a fondness for making plastic model warships and planes, and the enjoyed creating numerous gadgets with several moving parts. With a friend, Chu played with homemade rockets and he started a business out of a chemistry-based hobby by testing the soil of neighbor’s lawns for missing nutrients and acidity levels. Chu graduated from Garden City High School and, continuing his eduacation, received his B.S. Degree in Physics and a B.A. Degree in Mathematics from the University of Rochester in 1970. In 1976, Chu obtained support from a National Science Foundation Graduate Research Fellowship while working towards his doctorate from the University of California. After receiving his doctorate, Chu remained in the University of California for two years as a postdoctoral researcher before joining Bell Labs where, together with his co-workers, worked on their laser-cooling project which would win him the Nobel Prize for Physics in 1997. The scientists discovered a process to cool atoms by using six laser beams, opposed in pairs, and placed in three directions at right angles to each other. Capturing atoms with this process caused the atoms to reduce in speed and their temperature neared absolute zero. This “optical molasses” effect enabled scientists to study the individual chilled atoms with greater accuracy. Chu shared the Nobel Prize with Claude Cohen-Tannoudji and William D. Phillips who both later expanded on Chu’s research. Following his career in Bell Labs, Chu became a physics professors at Stanford University in 1987, and served as the university’s physics department chair from 1990-1993 and again in 1999-2001. During his years in Stanford Chu, together with three other university professors, began the Bio-X Program. It focused on the interdisciplinary research involved in medicine and biology. They also played a key role for the procurement of funds for the Kavli Institute for Particle Astrophysics and Cosmology. Under Chu’s leadership, the Lawrence Berkeley National Laboratory became a center for research efforts on solar energy and biofuels. In August 2004 he was appointed as Lawrence Berkeley National Laboratory’s director, and later on he joined the Department of Molecular and Cell Biology and UC Berkeley’s Department of Physics. Interested in solar energy research, he led the Helios project whose aim is to find and develop ways on how to harness solar energy as a renewable energy source which can be used for transportation. In 2009 when he became the 12th Secretary of Energy of the United States, and he was sworn under President Barack Obama’s administration. He is the first person to have become a member of the U.S. Cabinet after winning the Nobel Prize. He served from 2009-2013 and continued his other scientific work alongside his Secretary of Energy duties. Steven Chu is a vocal advocate and openly expresses his support for more research efforts for the use of nuclear power and renewable energy. He became a member of the Copenhagen Climate Council, created to build momentum for the United Nations Climate Change Conference held in Copenhagen in 2009. He believes that by shifting away from using fossil fuels, the negative effects of climate change as well as global warming can be battled. He is also known for advocating the roofs of buildings and roads have white or light colors, in order to reflect more sunlight back to space to help mitigate the effects of global warming. In addition to being a co-winner of the 1997 Nobel Prize for Physics award for his work on laser cooling for atoms, he has also received other awards including the Humboldt Prize in 1995, given by the Alexander von Humboldt Foundation, and several honorary doctorates and degrees. Chu has two sons from his previous marriage with Lisa Chu-Thielbar, and in 1997, married British American Jean Fetter who is an Oxford trained physicist.